Sin comes at us in several different ways and how we should react is different based on how it comes. These ways are: in ourselves, in the world, and in fellow believers. Each one brings its own challenges and difficulties and must be handled in different ways. 1 Corinthians 5 reminds us how to deal with sin in the world, but the point of that passage is to talk about how to deal with sin in the body of believers. When we accept Jesus Christ as our Savior, we are putting ourselves to a spiritual death through belief in His death and resurrection. As a part of that, we become enslaved to righteous living through commitment to obeying Him. This is our choice. It’s not forced and, as long as we keep our belief in Jesus as our Savior, we don’t lose our salvation for messing up (I know, there’s a lot of theological points around this topic that not all people will agree with that. It’s where I stand though, so please don’t destroy me in your need to present your opinions as right.) That being said, Paul expects the people who claim allegiance to Jesus to follow certain lifestyle choices to living uprightly and honestly (Romans 6:1-2). This sounds great in light passing of the topic. Sure, hypocrisy is bad and we shouldn’t hang out with Christians who say one thing and do another. This can be a much more sensitive and hurt-filled matter when we’re dealing with a loved one or friend in our life who is in this situation. We must handle it with wisdom, first going to them in love and concern, as spelled out in Galatians 6:1-2. The other thing we must keep in mind in this situation is that this is not talking about every time we make mistakes. We’d all be kicked out at some point if that were the issue. Habitual sins are ones that we fall into over and over and struggle to break. They are strongholds that we must fight against repeatedly till we can learn to truly hand them over to God and let Him fully defeat it. It takes strength and courage to fight a battle over and over, when you feel like you should be able to just “be good” like everyone else. Habitual sins and hypocrisy are not the same thing. The difference between them is that being a Christian doesn’t mean getting everything right all the time. It means, knowing you’re a sinner and relying on the grace of Christ, both of which require us to be honest about our sin and what we’re fighting. Real hypocrisy is when a person is choosing a sin that the person knows is wrong, has been talked to by friends and church leaders about how it’s wrong, and still lives that way. They do all this while claiming they have a close relationship with Christ and are His devoted follower. Hypocrisy says, I know what’s right and what’s wrong and I’m going to do what’s wrong while still claiming I’m right and ok. Hypocrisy is the ultimate level of denial because if you’re not doing anything wrong, you can’t ever start getting it right. Hypocrisy is the dead end of spiritual arrogance. As long as you’re in that place, you are dying spiritually and probably aren’t aware of it. Hypocrisy is serious, but so is all sin. As we face each and every form of it, we can be grateful that God provided us the guidelines to help us understand how to respond appropriately and in love no matter what. 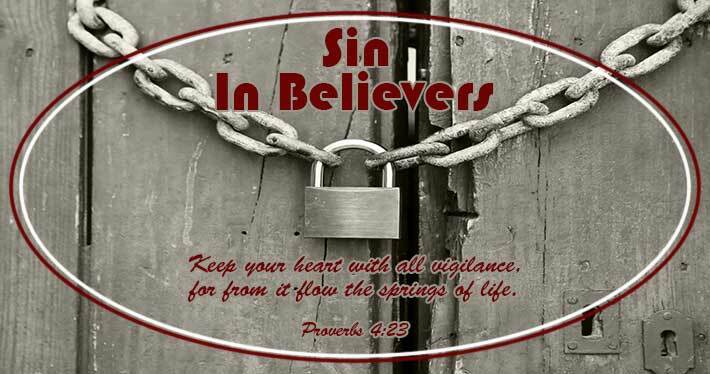 Thoughts On Scriptures God's judgement, hypocrisy, judging, righteous judgement, sin. permalink.